GenWex presents Peronis on the Plaza, July 15, 2010 at 6:30 p.m. Celebrate the tastes and sounds of Italy with wood-fired pizzas, red wine, an ice-cold Peroni and groovy sounds of 70s Italian disco. Stick around for continued fun with the outdoor screening of The Talented Mr. Ripley (Anthony Minghella, 1999), presented by the Wex Drive-In summer outdoor film series. 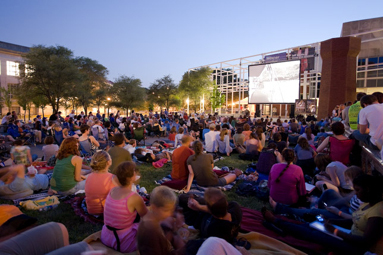 Set up your lawn chairs or blankets on the Wexner Center Plaza and enjoy the backdrop scenes of Venice and Rome. Event begins at 8 p.m., and film begins at dusk. A cash bar will be available. The screening is free to the general public. The Wex Drive-In series concludes with its featured film, Roman Holiday (William Wyler, 1953), on Thursday, August 19th, 2010. For more information about Roman Holiday and Wex Drive-In, please visit http://www.wexarts.org/fv/index.php?eventid=4815. 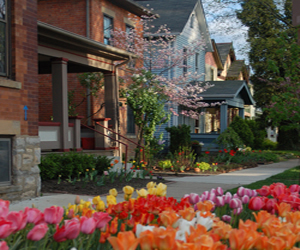 Events will be held at the Wexner Center Plaza, 1871 North High Street, Columbus, Ohio. For more information about Peronis on the Plaza, please visit http://www.wexarts.org/fv/index.php?eventid=4917. For more information about The Talented Mr. Ripley and Wex Drive-In, please visit http://www.wexarts.org/fv/index.php?eventid=4813.